According to Blue Corona (2017), less than 30% of small businesses use website analytics. Add to this, that 18% of small businesses admit to not tracking anything, and both small businesses and start-ups are missing out on a critical piece of their digital marketing puzzle. 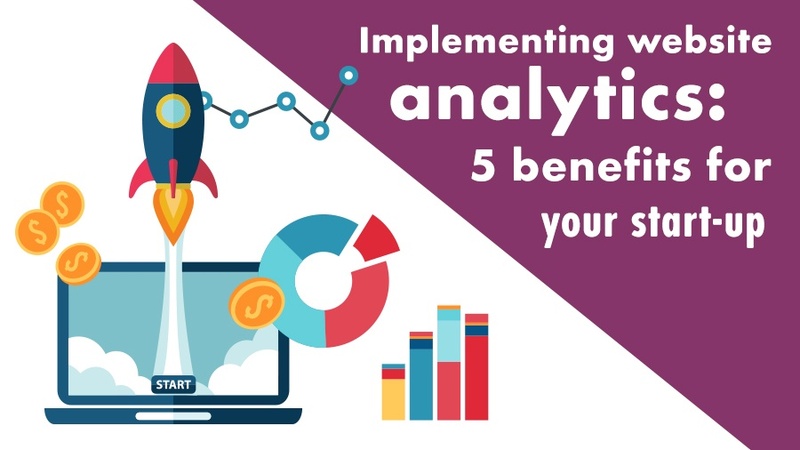 Implementing website analytics is vital in promoting business growth in the online space. Salesforce (2016) reported that 51% of small business marketers rate analytics as an absolutely “critical requirement to better understand customer journeys”. We have to agree with the research. Web analytics is the process of measuring site statistics and analyzing traffic behavior. Google Analytics helps to keep an eye on the activities and behaviour of website users with key metrics such as unique users, unique sessions, top performing website content, the performance of different traffic sources and bounce rates. With all these metrics and data, optimising your website conversion funnel is a much easier task. Not only that, but you also gain insights into geographical locations of users, top traffic sources and where visitors are dropping off along your funnel across all digital channels. Understanding how many people are actually visiting your website every day, week and month are essential. You also want to know what time of the day they are visiting and from which geographical locations. On top of this, knowing what devices, mobile or desktop, they are using can also help to specify the behavioural and usage habits of your target audience. All of this data shapes an overall picture of a potential customer so you can effectively market to them. Thankfully, all of this data is made available by analytics platforms. Website analytics give you the ability to see what people do when they arrive on your website. Find out if they are bouncing without taking an action, or if they are browsing through your website. You get a broader picture of the type of the content they are exploring and what topic they are interested in. With analytics, you can see the pages that visitors are spending a lot of time on, as well as the pages that have high exit rates. By linking accounts, analytics can even show what products customers are adding to their shopping cart and what proportion are abandoning their carts before completing checkout. Use analytics to understand what products visitors are searching for, and what pages and search terms are popular for your website. Conversions are when visitors take actions you want on your website or when visitors follow certain paths you have defined as a goal during the course of their visit to your website. They are important because they assist in measuring how successful your website is in meeting the goals you have set. Goals can vary from visitors having successfully watched a specific video, downloading an article or eBook, to following the conversion path you designed which ends with the action of completing a contact form. By measuring conversions, you track the contribution of your website to your overall business objectives, typically represented as key performance indicators (KPIs). There is a strong possibility that you are spending money on campaigns to raise brand awareness and generate new customer leads. Campaigns can include SEO activity, pay-per-click ads (PPC), affiliate programmes or partner advertising, and social media platforms. You want to know how effective all of your campaigns are at generating traffic to your website, and understanding the quality of the website traffic is also important. All of the above can be achieved through exploring your Google Analytics. The truth of the matter is that if you do not in any way measure performance you cannot improve or optimise your website. You need to make informed decisions and not rely on previous experiences, gut feelings or what you think you should be doing based on other people’s opinions. By using Website Analytics, you utilise data to analyse return on investment (ROI) for campaigns and can make informed decisions about the design and development of your overall website. Website Analytics offer numerous benefits and should form part of any small business marketing strategy in today’s world. Consumers are continually searching for products and services online, and it is vital that they can find your business online, and interact and engage with you. Analytics can assist you in making informed decisions about investing marketing budget, implementing website design changes and optimising content to meet your business goals and KPIs.